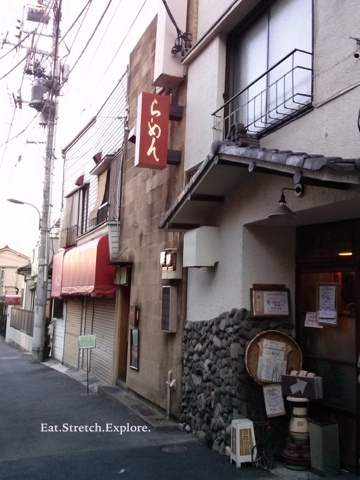 Watanabe is located in Takadanobaba, an area very near one of Japan's most famous universities, I've been told. So, as you may recall, I went to Tokyo over New Year's vacation. I'm finally getting around to writing about some of the stuff I did and food I ate. I had been living in Japan almost three months before I went to Tokyo, but I had never had ramen yet. Blasphemy, right? So, a major goal of mine was to get ramen in Tokyo, obviously. After a super disappointing first bowl of ramen at Tokyo Station's Ramen Street (more about that later), I was a little gun shy about trying to eat another bowl. But, man, I'm so glad I did get one. This one was super delicious. It apparently is super famous...like my housemate in Kobe, when I showed her the picture, knew exactly where this was and she was dumbfounded that 1) I found it (uhhh finding food is my hobby) 2) I didn't have to wait. When I arrived, there were three seats available, but by the time I left there was a line of about 12 people. And, as I was eating, about six people tried to enter. Watanabe is located in Takadanobaba, an area very near one of Japan's most famous universities, I've been told. As a result, this area is super famous for ramen shops. 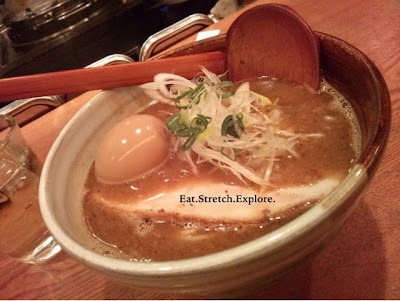 And, since there is so much competition for ramen in the area, any of the shops around there should be very good. I am super famous for not having a very good sense of direction, so I kind of got a little lost. I was trying to go to a different shop, but since it was December 30, nothing was open. I mean...nothing. If you exit the station, you should walk straight about 600 meters. Eventually, on your left, you should find a store selling the carp bread filled with red beans (not sure what it's called in Japanese). At this store, turn left and then Watanabe should be on your right. So. I was a little worried I was going to starve, but I finally found Watanabe and lo and behold, it was open! I was actually a little worried at first that the price was going to be out of my price range. The style on the outside was very, I don't know, posh (?) looking. There were about ten or twelve chairs. The broth was very, very flavorful. It was pork, but was not greasy, as I has feared. I think there was another flavor in the broth, but I just can't quite place what it is...it wasn't chicken broth. I ordered the ajitama ramen. I actually didn't know how to read the machine (the buttons were completely in Japanese), but I remembered that I read the price should be about 900JPY (9USD), so I chose semi-blindly. Luckily for me, it was right. The ramen was topped with a large slice of charsiu pork, green onions, and menma. Menma is bamboo shoots and the ones in this ramen were extremely thickly cut and were definitely filling. Also, since I got the ajitama ramen, it was topped with a soft-boiled egg. After finishing the ramen, I was super full and extremely happy. This was definitely a great find and renewed my faith in Japanese ramen. The price was a little higher than what I've been told is the going rate for ramen in Japan, but it was worth it. 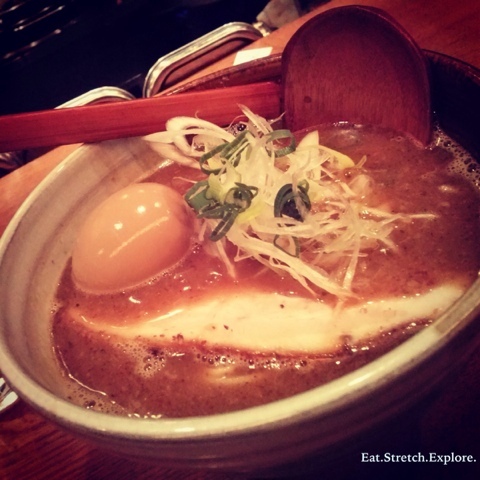 The savory flavor and all of the great components of Watanabe's ramen were worth it! After eating here, even some of the best ramen shops in NYC are not up to par. Check out other ramen posts.